A berry explosion. 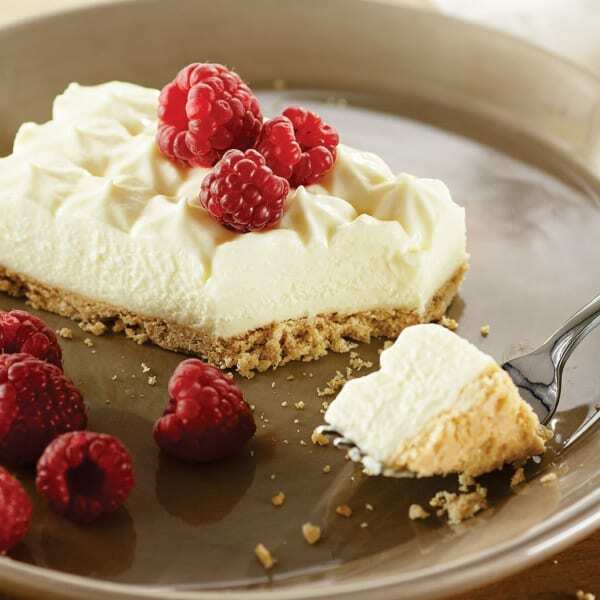 This delicious creamy Sara Lee Cheesecake features a light vanilla sponge, topped with French cream cheese and an explosion of flavoursome, mixed berries. 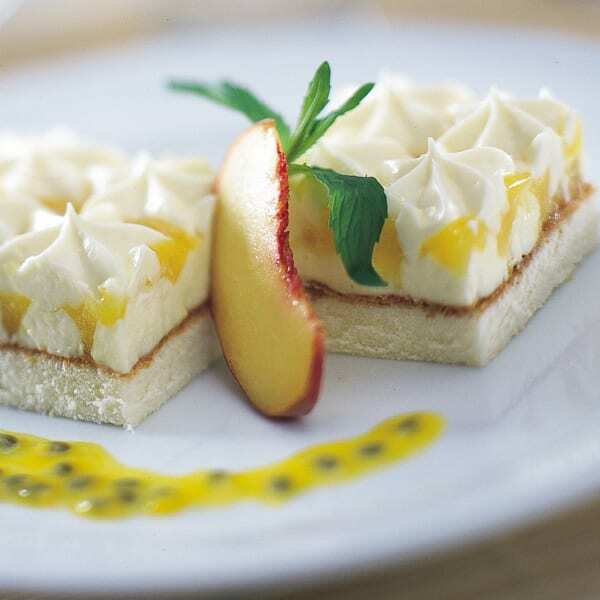 French cream dimples complete this elegantly presented dessert. 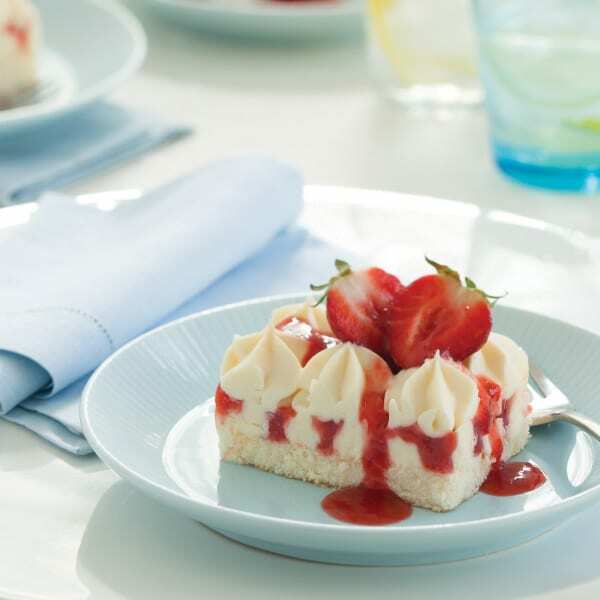 Simply cut Sara Lee Tray Berry Cream Cheesecake into portions whilst frozen, thaw and serve as is or with a simple garnish. Return any unused frozen portions to the freezer immediately. 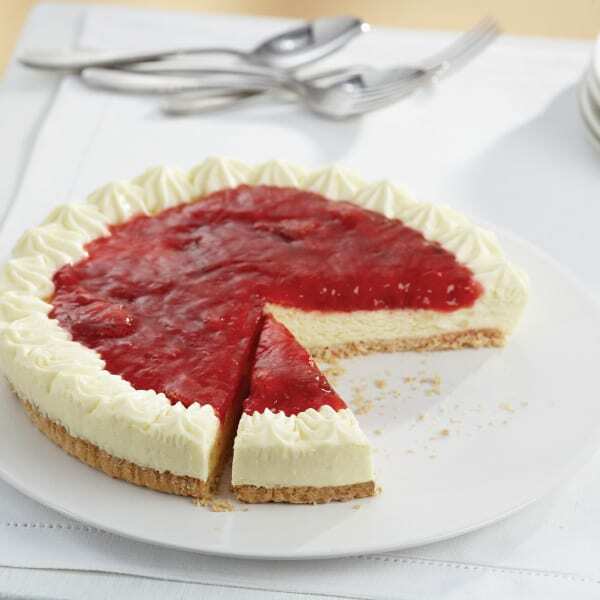 Cream, sugar, water, neufchatel cheese (12%) [milk, cream, salt, vegetable gum (410), lactic acid, starter culture], berries (6%)[strawberries, raspberries, blackberries, blueberries], wheat flour, egg, inverted sugar, margarine (vegetable oil), lemon juice (from concentrate), thickeners (1412, 1422), canola oil, gelatine, glucose syrup, whey powder, natural vanilla flavour, emulsifiers (vegetable - 471, 475, soy lecithin), raising agents (450, sodium bicarbonate), salt, vegetable gums (405, 415, 406, 407), citric acid.